Stainless steel sanitary fittings are important materials used in industry, which are characterized by variety and ease of application. Stainless steel sanitary fittings are hollow long circular steels that are widely used in petroleum, chemical industry, medical treatment, food, light industry, mechanical instrument, and other industrial pipeline and mechanical structural parts. In addition, the stainless steel sanitary fittings are light in weight at the same bending and torsion strength, so they are widely used in making mechanical parts and engineering structures, as well as in the production of various conventional weapons, barrels, shells and so on. 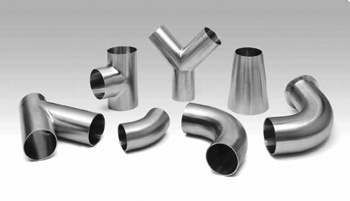 First of all, from the perspective of atmospheric environmental protection, the demand for heat-resistant, heat-resistant corrosion-resistant stainless steel sanitary valve fittings to be installed in high-temperature scum combustion and installation, LNG power generation and efficient power generation using coal will be expanded. It is also estimated that the battery shell of fuel cell vehicles, which will be put into practice in the early 21st century, will also use stainless steel sanitary valve fittings. From the point of view of water-quality environmental protection, drainage disposal installation, stainless steel with excellent corrosion resistance will also expand the demand in the water supply. The use of stainless steel in existing bridges, highways, tunnels and other equipment in Europe is increasing, and it is estimated that this trend will spread all over the world. The lifespan of a typical Japanese residential building is particularly short - 20 to 30 years, with waste disposal a major problem. Recently, buildings with a life of up to 100 years have begun to appear, so that the demand for data with good durability will increase. From the perspective of environmental protection, it is necessary to discuss how to reduce the cost of maintenance in the design phase of introducing new concepts while reducing civil and construction waste. With regard to the improvement of IT, function data plays a great role in equipment hardware during the development and improvement of IT, and requests for high-precision and high-function data are very large. For example, in mobile phones and microcomputer components, the sensitive application of stainless steel features such as high strength, elasticity, and non-magnetic properties make the application of stainless steel expanded. Stainless steel has excellent properties that many other metals do not, which is a kind of material with excellent durability and recycling property. In the future, the stainless steel sanitary valve fitting will be widely used in various fields.